Have you ever worked with anyone who had blind spots? Are there people in your organization who may not fully utilize opportunities to grow their skills? What would happen if everyone in your organization really knew how others perceived their work and behavior? 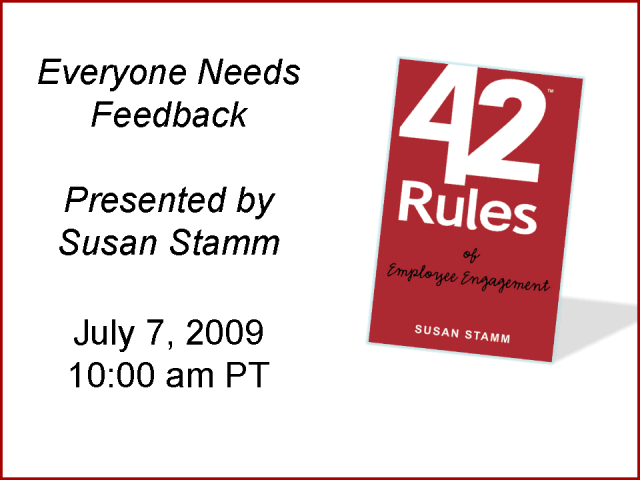 Join Susan Stamm, author of "42 Rules of Employee Engagement" for a 30 minute session to learn how feedback can transform your organization.